Calamari Ripieni is traditional dish is typically from the autonomous island-region of Sicily. There are also some versions of this in Calabria and Puglia. This recipe, however, is the version from Sicily. 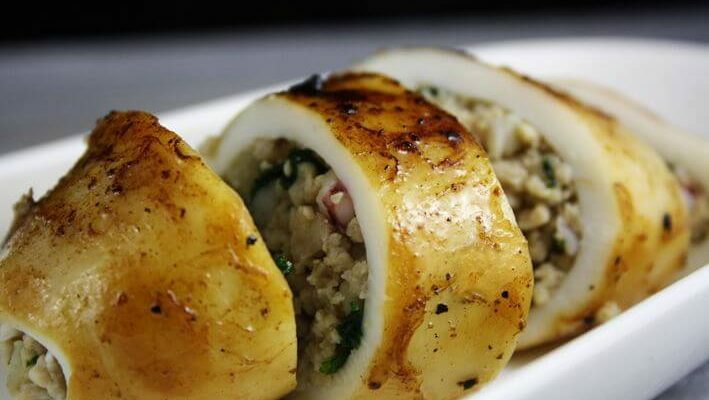 Calamari ripieni is basically stuffed squid. The filling/stuffing, however, can be made of different ingredients, which usually includes the squid tentacles that are chopped or minced. If the yumminess of calamari is not enough to convince you to add this dish to your recipe book, the following just might. Below are some of squid’s amazing nutritional value. 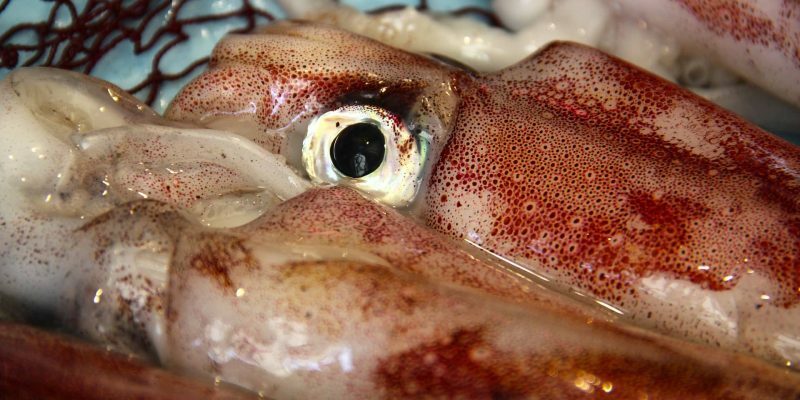 Like most seafood, squid meat is loaded with protein. This means it is good for building and repairing muscles and tissues. It is also great for maintaining the health of your skin, hair, and nails. Raw squid is low in fat and calories. And what fat it does have is called omega-3 fatty acids, which is often found in fish such as tuna and marlin. It lowers the risk of rheumatoid arthritis, heart disease, and cancer. Fish and most seafood have always been lauded as healthier options for a protein source compared to red meat. Fishes like tuna and marlin, however, have mercury, which is a poisonous element that can cause serious health issues. Squid, on the other hand, is relatively low in mercury, which means it is safer to eat than other seafood. 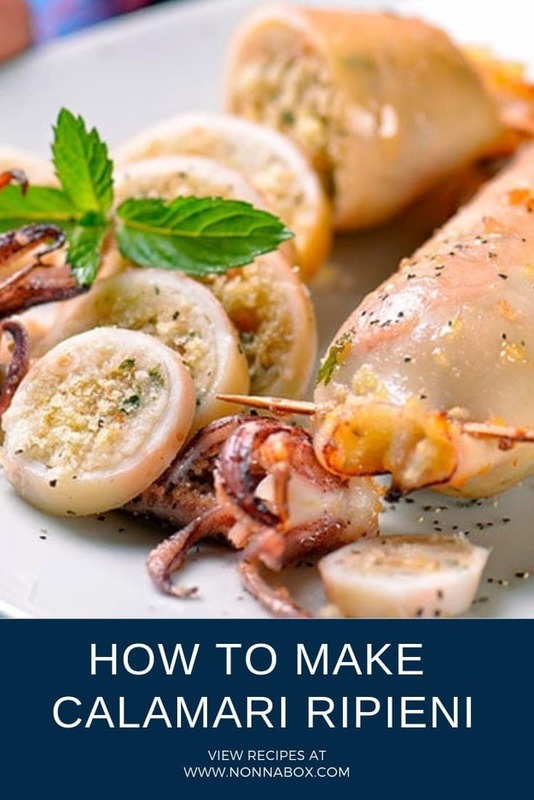 Squid also has vitamin B2, which boosts energy and helps relieve headaches, and vitamin B3, which regulates blood sugar levels as well as helps maintain the health of the digestive and nervous systems. More importantly, it has vitamin B12, which is essential for heart health. Other essential nutrients in squid also worth mentioning are vitamin C, calcium, selenium, phosphorus, and zinc. Although calamari ripieni is considered a summer dish, it can still be a great addition to your Feast of the Seven Fishes menu. Why? Because it’s not just a seafood dish but it’s also a delicious savory food that would perk up any family dinner, especially one for special occasions. This recipe will mix together the freshness of the ocean with a delicious filling. Wash the squid and remove the heads with the tentacles. Set aside. Empty the squids of their entrails. Chop the tentacles. Set aside. Wash the salted capers to get rid of the excess salt. Chop them with the black olives. Crumble the bread and combine it with warm water. Set aside. In a saucepan, fry the chopped garlic and anchovies in olive oil. Sauté those for a minute and then add the chopped tentacles. Add half of the white wine and let it soak in the mixture. Once the wine has evaporated, add the soaked breadcrumbs. Add some of the chopped parsley, and mix well. Make sure to leave about a teaspoon of the parsley and set this aside. Once everything is well combined, transfer it to a bowl. Add the egg and grated Parmesan cheese to the bowl and combine, until it becomes a homogeneous mixture. Put the mixture in a pastry bag and carefully fill the hollowed squids. Close each squid with a toothpick. In a saucepan, heat up some olive oil and add the sliced garlic. 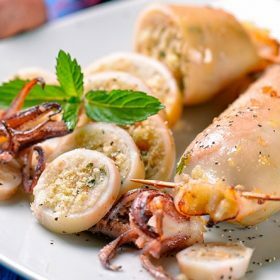 Cook the stuffed squids and garlic in medium heat until they become a bit brown. Turn the squid to cook both sides. Carefully add the rest of the white wine to the saucepan. Add salt and pepper, to taste. Cover the saucepan and cook the squid for about 10 minutes. Sprinkle more chopped celery, and then turn off the heat after about a minute. Serve immediately. Make sure not to overcook the squid, or else the meat will become rubbery and too chewy to eat. Now the holiday season may still be a long way away, but there’s no rule against doing practice tests, right?